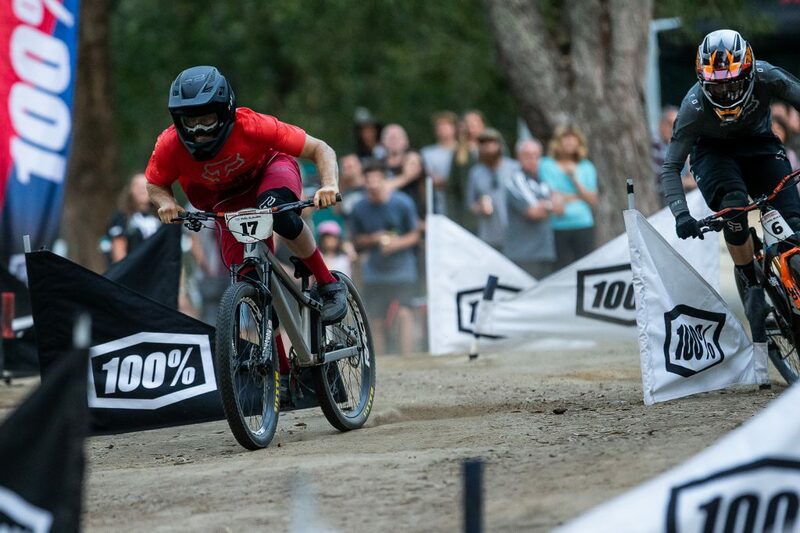 “It’s awesome to back it up from the 2017 Pump Track,” said Wright, who first stormed onto the international scene two years ago, winning the Rotorua Pump Track Challenge presented by RockShox. As Wright was still fighting to catch his breath, Vaea Verbeeck (CAN) charged her way across the line, taking the Pro Women’s win on both sides of the course against Anneke Beerten (NED). 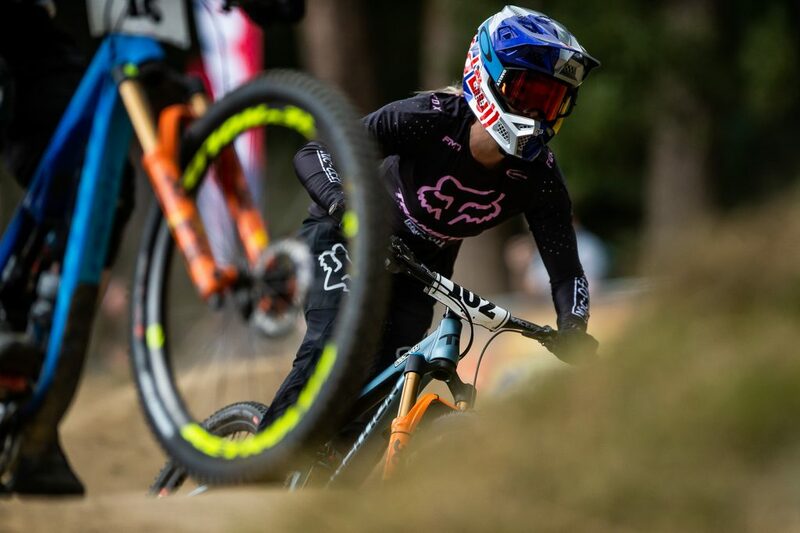 The win marks a strong start to the season for Verbeeck, who wrapped 2018 in third place for the overall Queen of Crankworx title. Last year’s winner, Tomas Slavik (CZE), knocked out early in competition. Like Verbeeck, to make his way to the final round tonight Wright had to battle his way past some hefty competition, including Downhill legend Mick Hannah (AUS), Collin Hanson (USA), who took the win on the Whistler Pump Track last year, and Kyle Strait (USA), who finished his 2018 season with a Dual Slalom win in Whistler. Lining up against Wright in the semi-finals, Strait didn’t go down without a fight. Wright and Strait’s first match up was a draw. With the crowd of more than 2000 spectators cheering him on, Wright broke the tie, beating Strait by a narrow margin of 0.07 in their second matchup, launching his way into the finals. The future-focus was echoed by Verbeeck. Verbeeck will take on the Rotorua Air DH presented by Bosch for Day Two of Crankworx Rotorua, then is set to take on the Official Oceania Whip-Off Championships presented by SPANK Thursday, followed by a double-header Friday that starts with the Crankworx Rotorua Downhill presented by the Professionalsand ends under the lights of the RockShox Rotorua Pump Track Challenge. 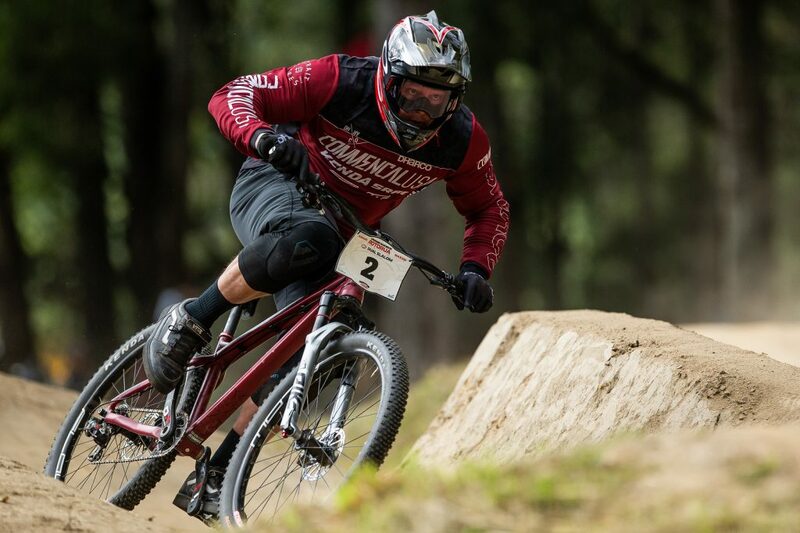 With a similarly packed schedule, Wright will also take on tomorrow’s Air DH, before rolling into Friday’s Downhill and Pump Track, wrapping it all up with a bang on Sunday with the five stage Giant Toa Enduro presented by CamelBak, the first round of the Enduro World Series. The similarly packed schedules of tonight’s winners may be a sign of where each is setting their sights for the year ahead. 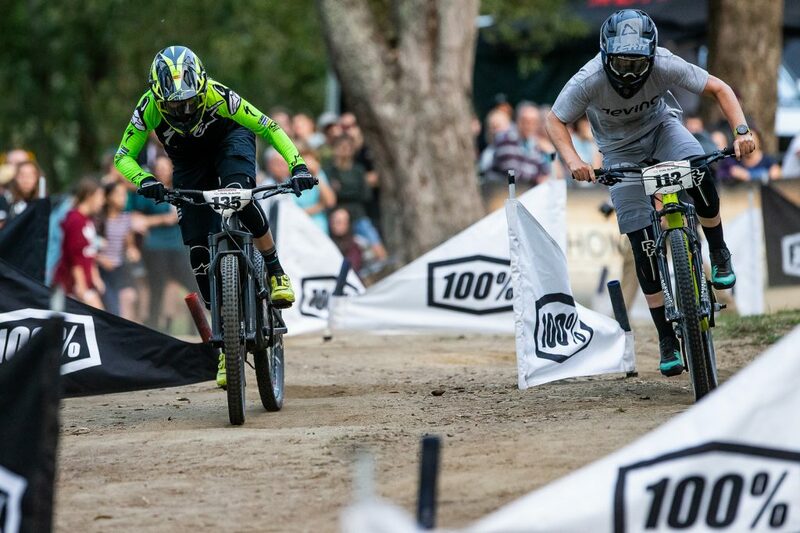 Tonight offers up the first points for the 2019 battles for the titles of King and Queen of Crankworx. Considered to be the toughest competitions in mountain biking, each crown comes with a $20k bonus at the end of the season. 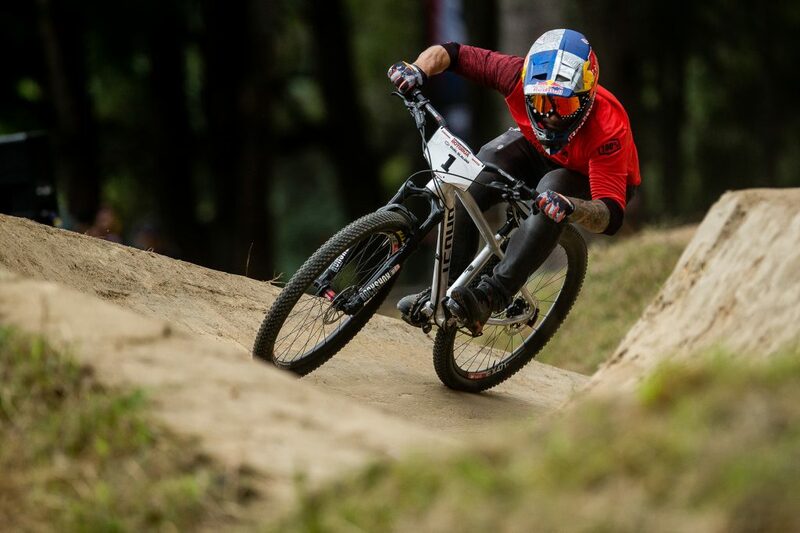 Wright and Verbeeck take the lead after Day One, while also earning points toward the Crankworx Dual Slalom World Championships. 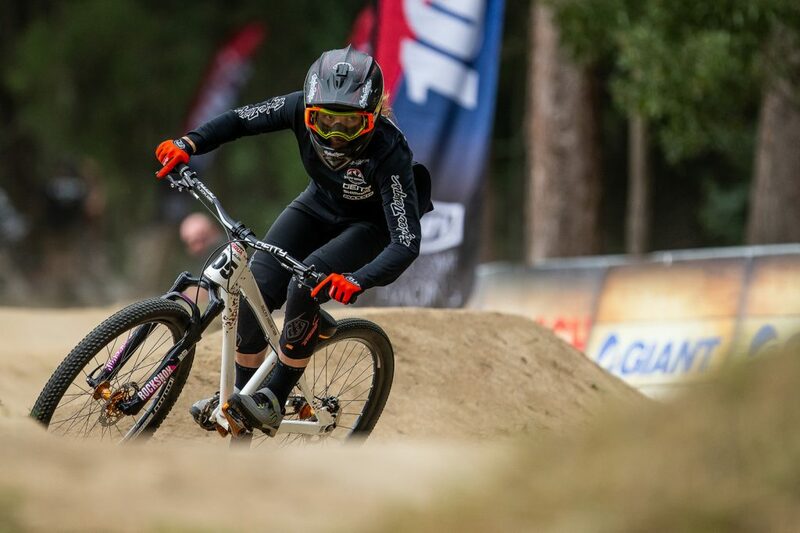 The World Champion title will be awarded at the end of the season based on the results of all Dual Slalom competitions across the Crankworx World Tour. 2019’s battles have begun. Next up? 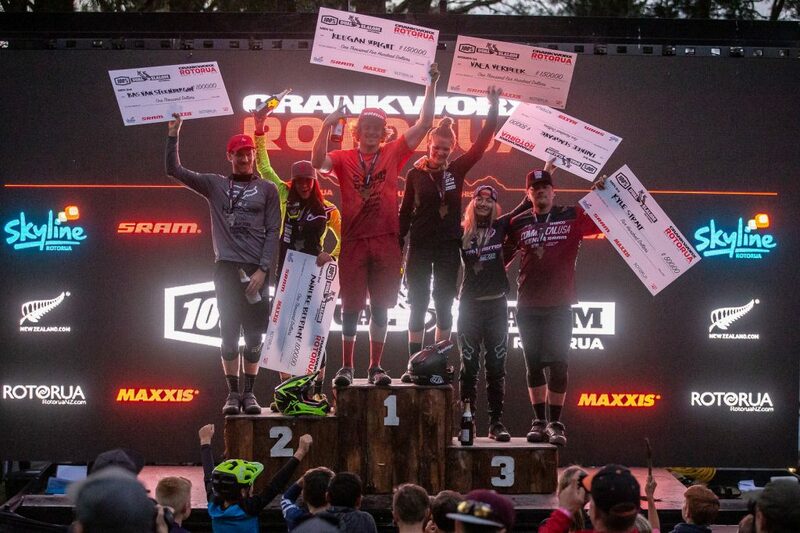 The Rotorua Air DH presented by BoschcEEGAN WRIGHT AND CANADIAN VAEA VERBEECK TAKE FIRST WINS AT CRANKWORX ROTORUA 2019hallenges racers to hit 32 jumpable features while racing their way down Skyline Rotorua Gravity Park’s Mr. Black.